See scan - perfect condition. 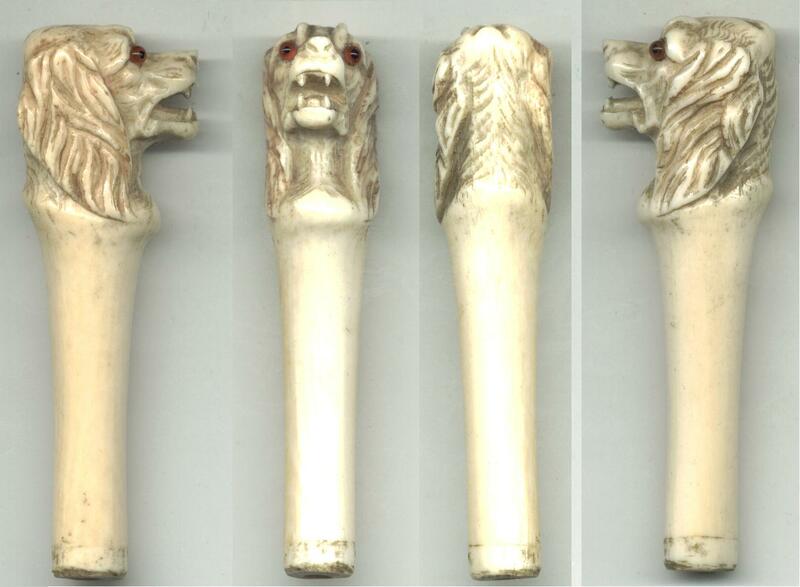 This is a nice and greatly masterly carved antique French ivory handle showing an angry dogs head with open mouth and teeth. The dog has also nice carnelian eyes. Great collector piece and one of the nice French antiques out of hand carved ivory.